That good ol’ Dixie feeling. Stories submitted may be edited for length or content at the discretion of Dixie Chicken Inc.
Not every story submitted will be posted. Adding pictures to stories is highly encouraged. 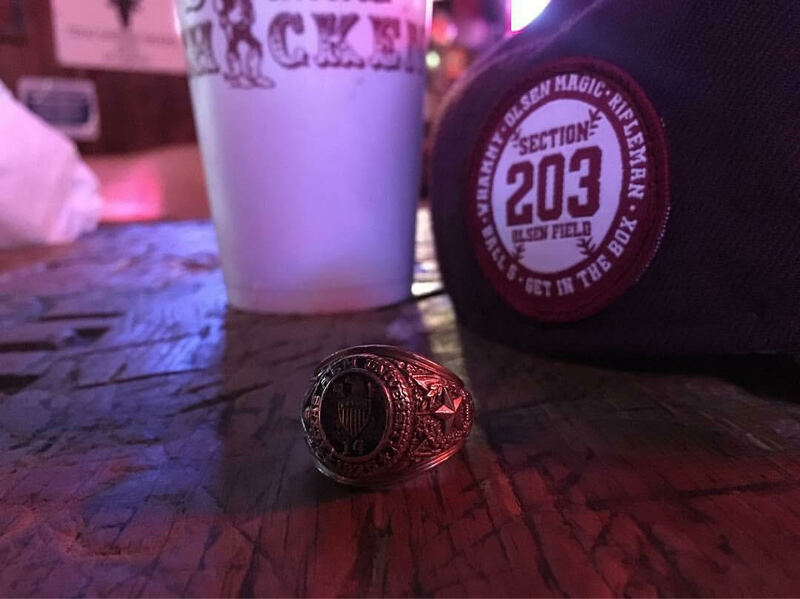 It may have started as just a bar, all those years ago, but it has been much more than that to many aggies. 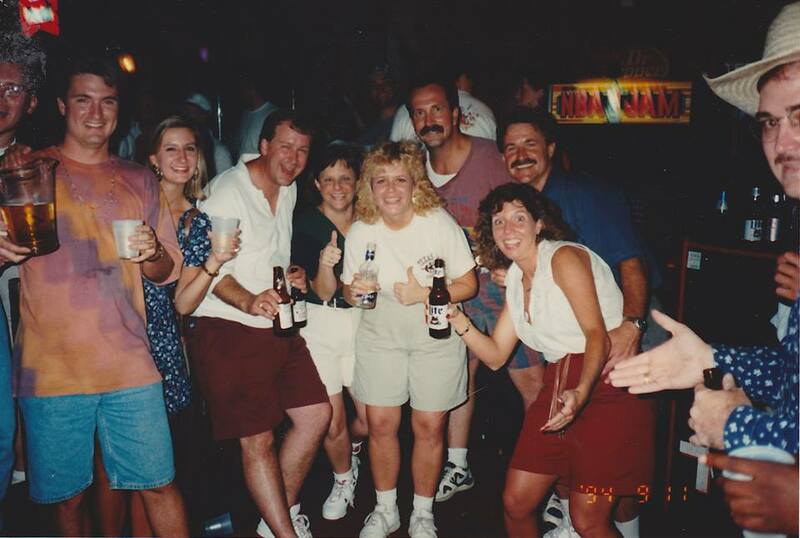 For over 40 years, we’ve been on Northgate, celebrating the big wins, knocking back a few after a tough test, reminiscing and reconnecting with friends. We’ve been there for the awkward first dates, the 20 year wedding anniversaries, the nights to remember and the nights to forget! My first (legal) beer. Exciting parties. A breakup. Drowning my sorrows. 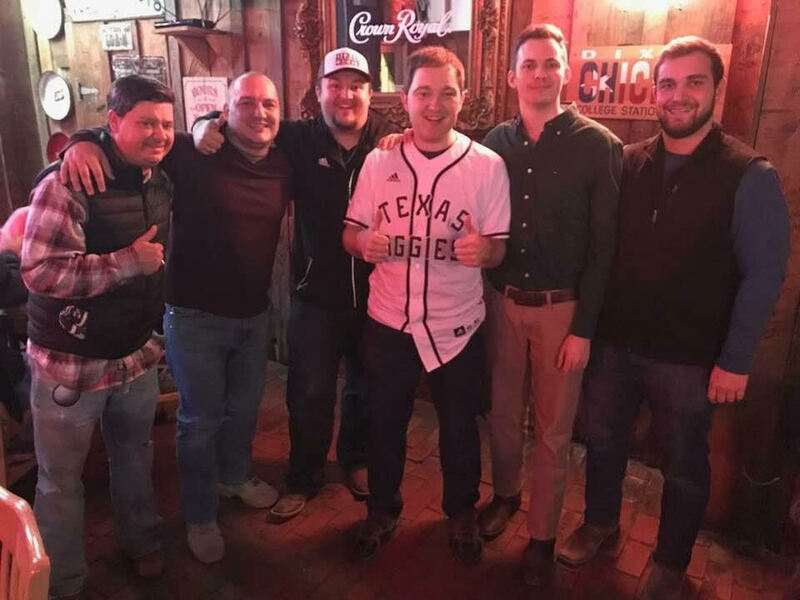 No matter the occasion, the Dixie Chicken has been there as a shining beacon for this young Aggie. The first time I was able to set foot on the glorious back porch of The Chicken was in 2008 When I was first visiting campus. We had a tour at 1 o’clock and we decided to grab lunch first. 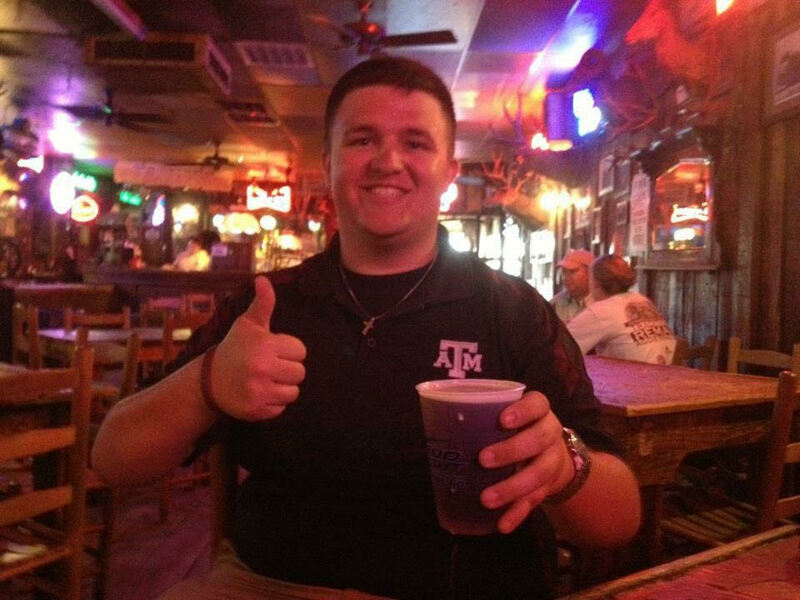 The hospitality and friendliness of the bar was my first real taste of what being an Aggie was all about. The first time I spent extensive time with my friends in the Texas A&M singing cadets was at a Thursday night dinner at The Chicken where I first learned about the game 42. 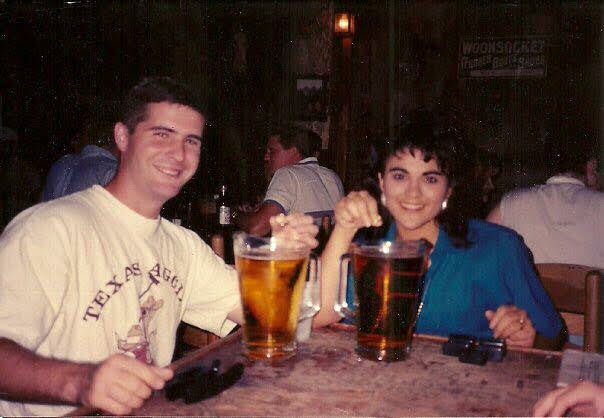 After that, many of my college nights are spent spending time with my friend James, Adam, Ryan, and many others enjoying fine beer, great company, red dirt country, and playing 42 until the pitchers ran dry. The Thursday after I turned 21, I remember my cousin Zane inviting me out for a beer. This of course turned into shots over at the Dry Bean and to many more fun times at The Chicken. I’ve watched many away games there, was broken up with there on a Sunday afternoon, and contemplated life decisions while sipping on a Shiner. No matter the occasion, I’ll always find my way back to the place I’ve come to call a home away from home, other than Olsen Field of course. 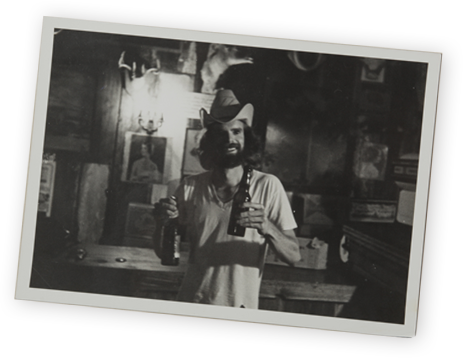 I started drinking at the Dixie Chicken in June 1979 during Freshman Orientation. I’m Class of 1983 and have attached a photo of my friends, Donald Drastata,Sheryl Barrett, and myself at our 15th Reunion in the fall of 1994. My husband, Paul Hons, and I became engaged here and return every year as we visit family and check on our retirement land. Our engagement story is already on your stories page. Gig’em! The Dixie Chicken is where I had my first paid gig. It took 6 months of playing there for free and then I got a raise, 4 hours of music for $100. I have so many great memories of The Chicken and it will always have a place in my big maroon heart. I have a little story for you Aggies! A LOVE story! I have a little story for you Aggies! A LOVE story! Whoop! . 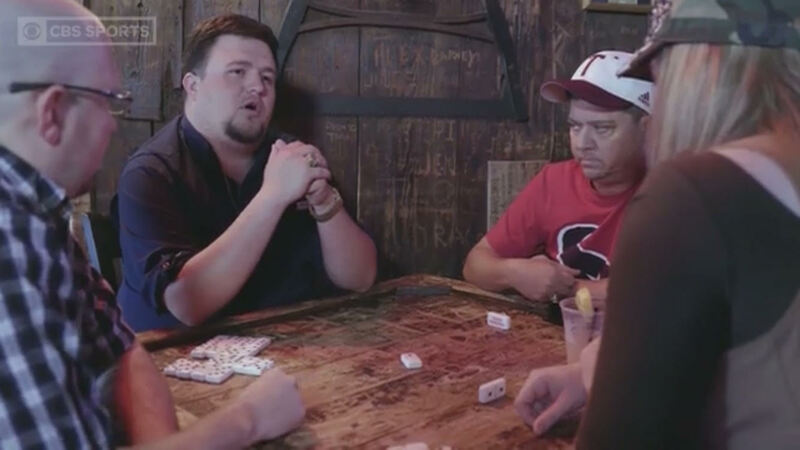 My new roommates and I decided to do a little bonding over a few games of 42. So, like all good Ags, we headed to the Dixie Chicken. We played a few games of 42, and after a little while two of my roommates got up to leave. At that same time two guys from the table next to us got up to leave. We looked at the two remaining players, they looked at us, and I don’t remember who suggested it, but we combined players and continued to play. At the end of the night, the handsome green-hazel eyed CT asked me for my number. And so it began! Whoop! 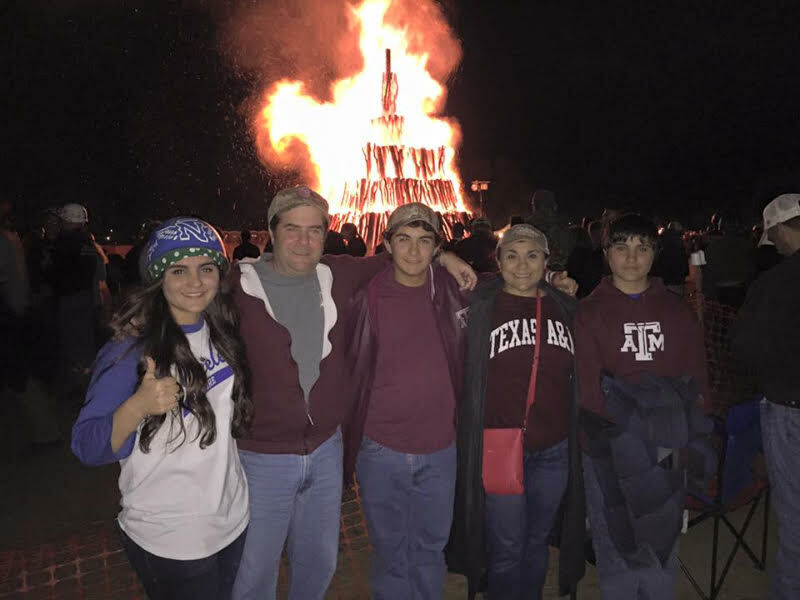 Below is my husband and I with our three children at Student Bonfire, 2015. My daughter was a Green Pot 2016, and she is a senior this year, Victoria Smith ’18. My son in the middle is a freshman this year, Andrew Smith ’21. 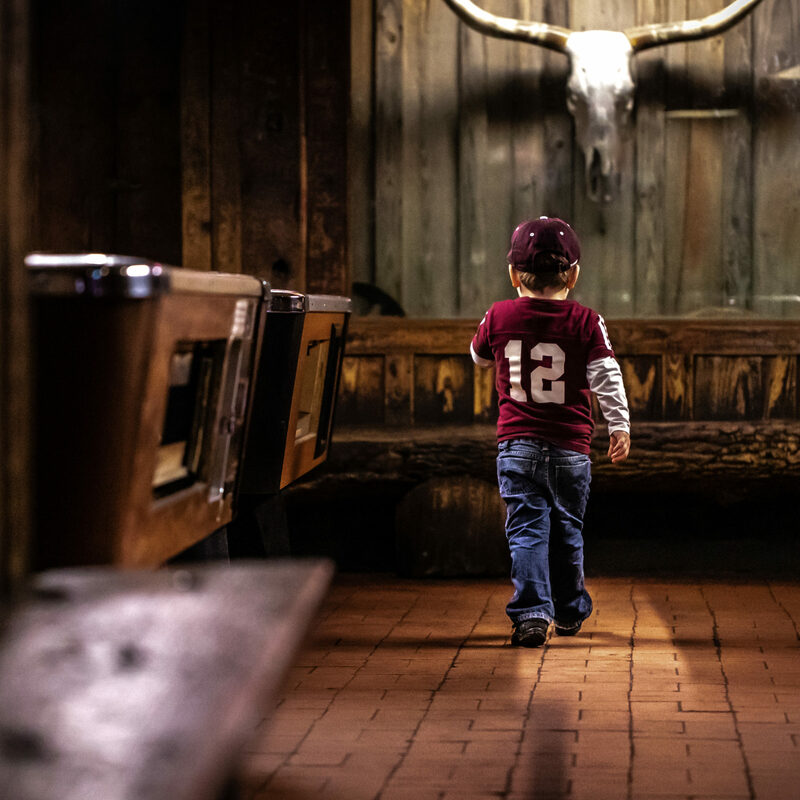 And with the grace of God, the youngest, far right will be an Aggie class of 2024, Mario Smith, III. My husband (’04) and I (’05) loved Aggieland so much, we moved back to College Station in 2015 to raise our family. Now that they’re old enough, we are trying to take the kids to all the Aggieland classics. So, of course we started with lunch at the Dixie Chicken before catching their first Aggie Baseball game! My youngest was so excited to see the famous rattlesnake and was on a mission to see it as soon as we walked in. I am a recent Aggie grad and The Chicken is one of my favorite memories. Mainly because that’s where I met my fiancé. We met in June of 2016 and we are getting married in April 2018. 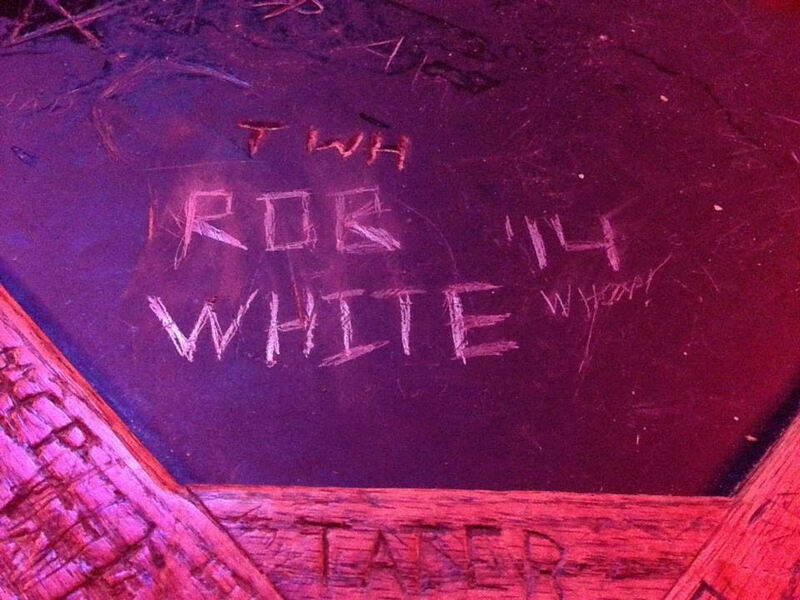 We’ve had great times there ever since and always talk about going back to visit for some cold beer and cheese fries. 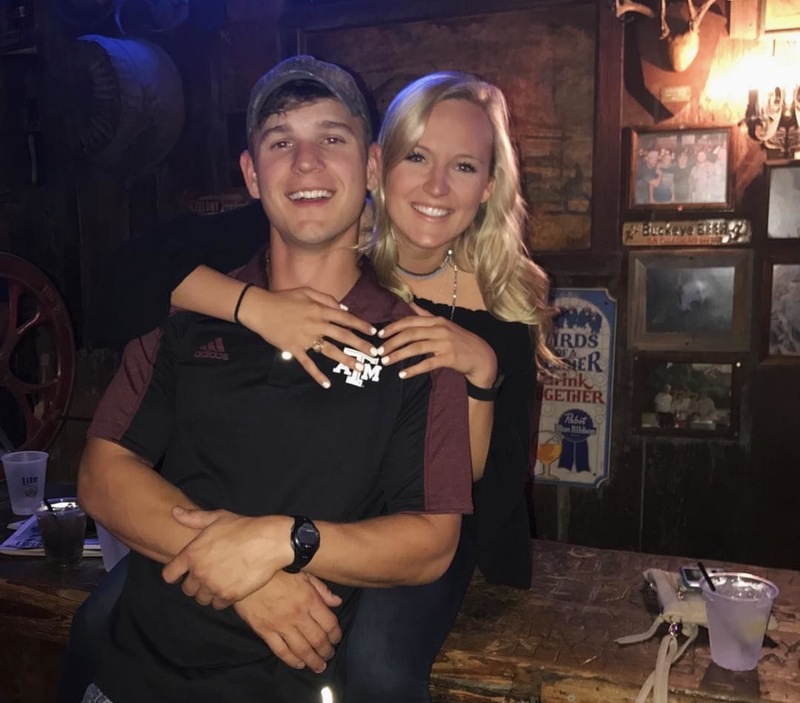 Unfortunately, he’s not an Aggie but, thanks to me and his time visiting me in college, he has great things to say about Aggieland, especially The Dixie Chicken. The night we met is my all time favorite memory of college and I owe it you guys for making The Chicken such a fun atmosphere. 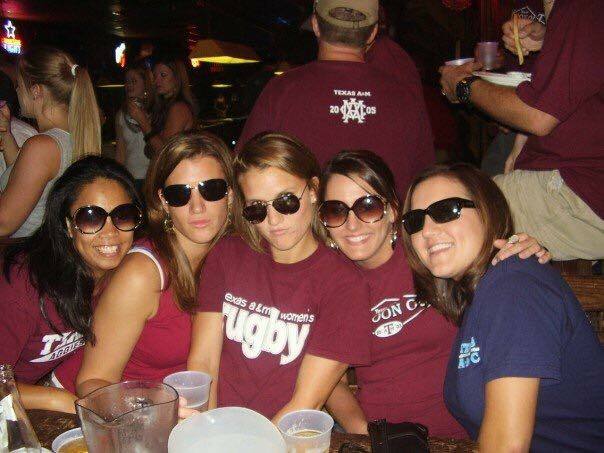 It was always ladies night for us at The Chicken! 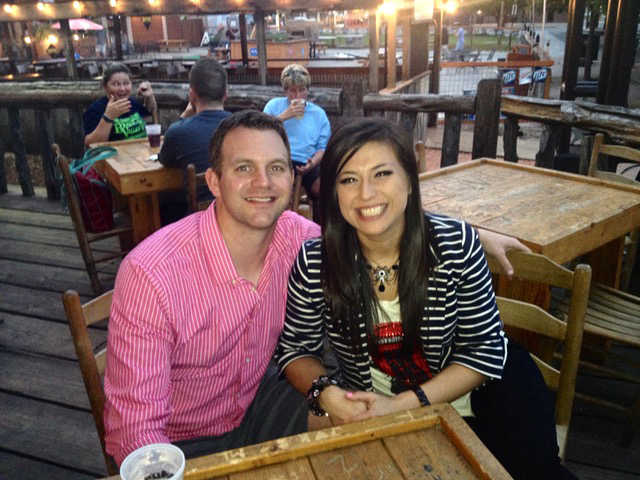 We always started and ended our Northgate nights at The Chicken! The best part was heading back to the bar for one pitcher of beer, some Tijuana fries, and Goodnight Irene! I believe our bathroom tag is still in the big stall somewhere- Hussies Class of 2006! We look forward to trips back to remember our great times! Thanks for all the memories! 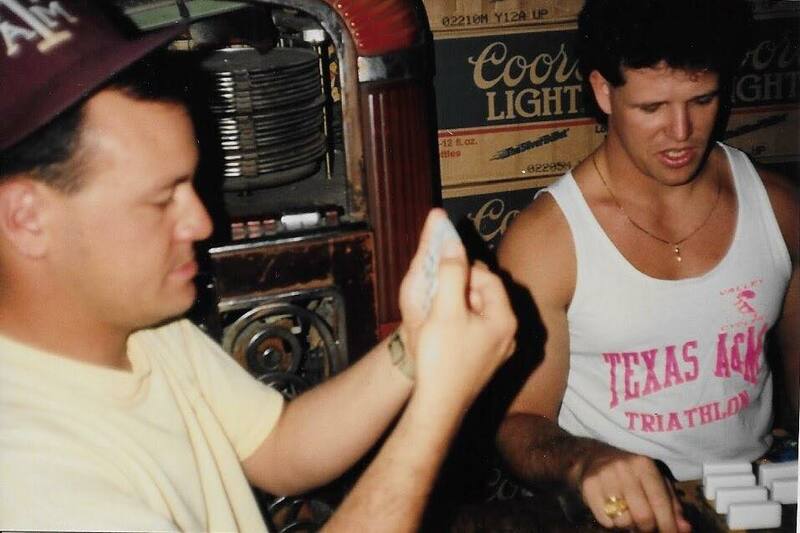 Enjoying another fun night of bones in the Spring of ’91 with Mark Gaither ’90 (right) and Patrick LaCicero ’92 (left). Finally, Pat has the “God” hand and plans his execution, only interrupted by female domino groupies drawn in by the gravity of the situation. Pat was their mascot. What is the “God” hand in 42, you ask? Bidding 41 and making it EXACTLY by walking the 1-blank on the last play. Patrick didn’t complete the feat that night but he entertained us with every hand played. Even the stuffed white-tailed buck just above us was impressed. Tragically, we lost Pat last year. 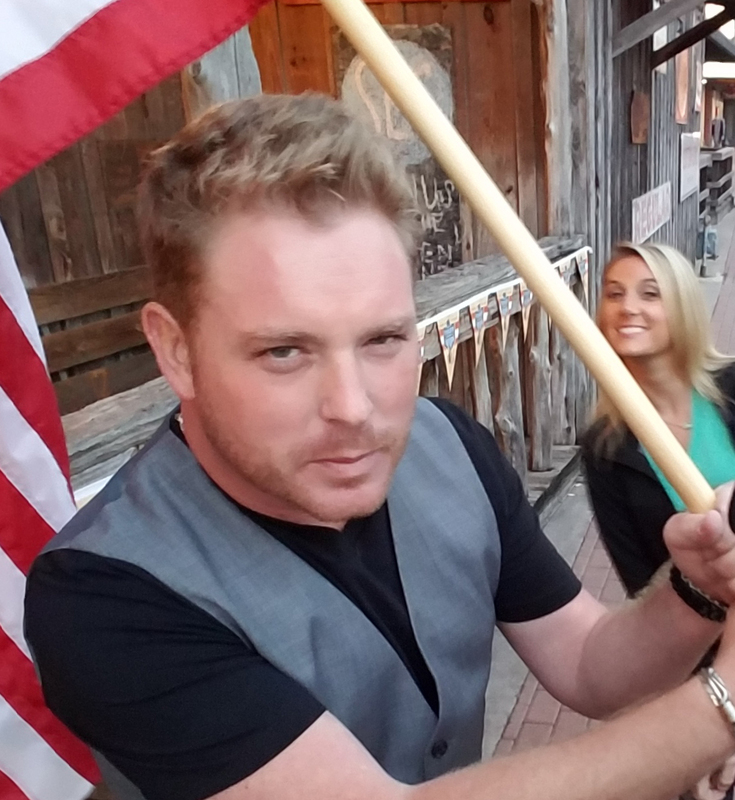 He was an amazing father, husband, and friend. You are greatly missed my brother. The world just isn’t the same. JT (from Jack Hilliard) was my bartender at Rebel when I first met him. 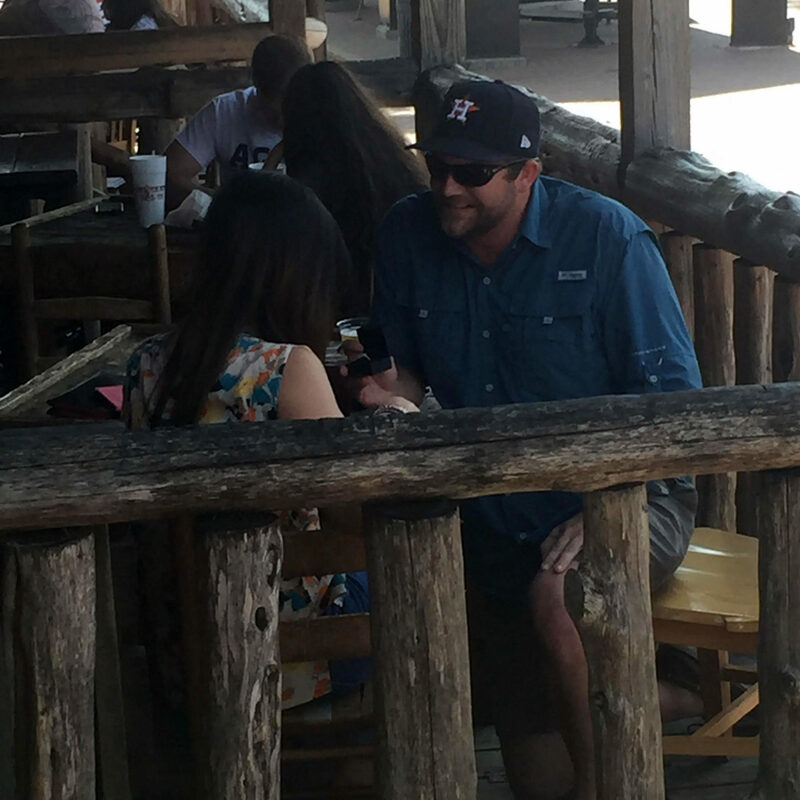 A few weeks later he asked me to be his girlfriend sitting at this table on the back porch of the Dixie Chicken on April 17, 2013. This picture was taken at that table on our one year anniversary. We still sit there when we enjoy lunch on a work day or drinks after work. Northgate introduced us, but the Dixie Chicken sealed the deal. UPDATE: On September 10, 2017 JT proposed at the same back porch he asked me to be his girlfriend 4 years ago. 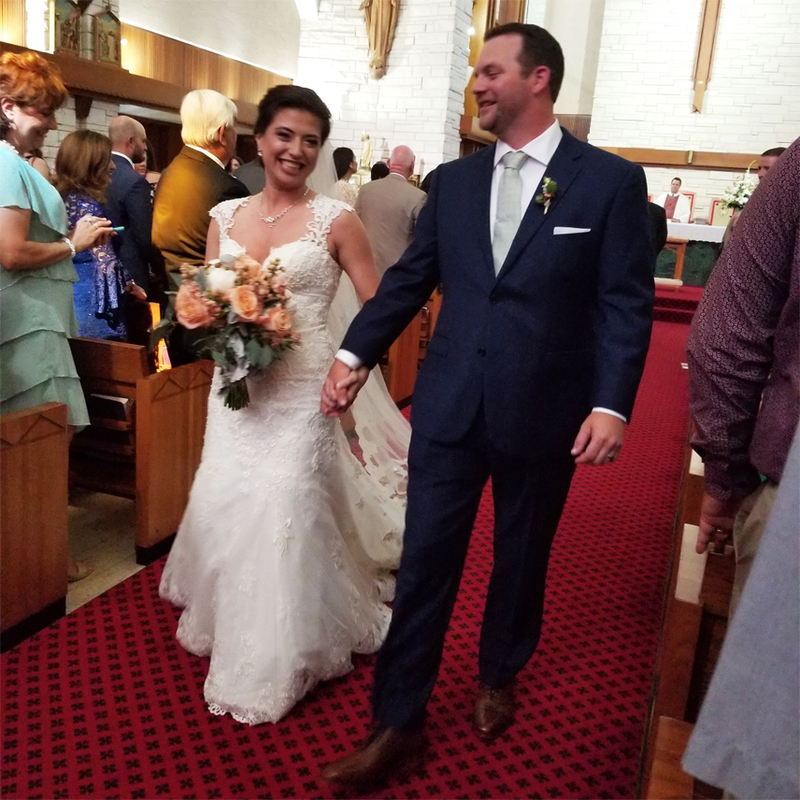 UPDATE 2: June 2, 2018, JT and Jessica were married in front of family and friends. Congrats to the happy couple!